Question: How to create and maintain a very simple project that has few tasks in my Ubuntu laptop (or) Are there any other methods to take notes and organize ideas instead of using the inbuilt Text Editor that comes with Ubuntu? 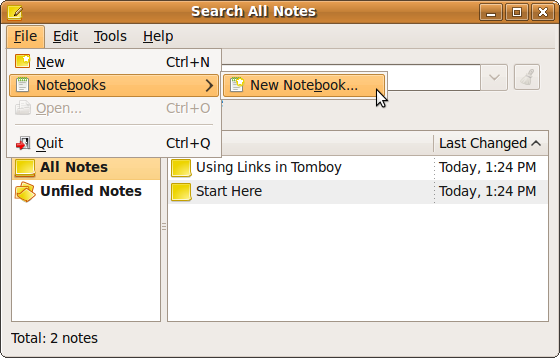 Answer: Tomboy Notes is the notes maintaining mechanism gets ported with Ubuntu by default. 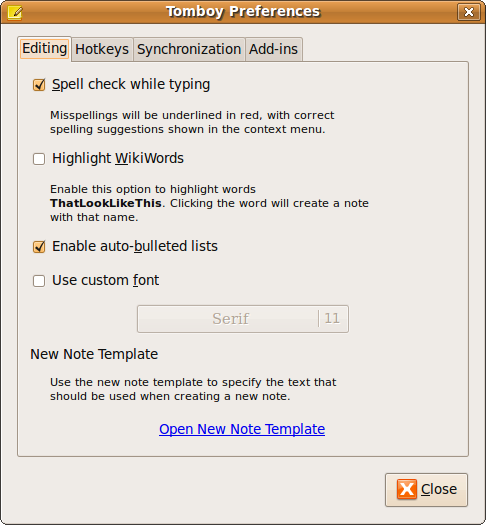 Creating, Linking, Maintaining, Searching the notes are painless in Tomboy Notes. Click on Applications -> Accessories -> Tomboy Notes, this will launch the ‘Search All Notes’. Click on File -> Notebooks -> New Notebook to create a new notebook as shown below. Enter the name of the notebook / project, as shown below. In this example, I’ve created a project called ‘Prod Server Setup’. Note: Once you’ve launched the tomboy, it will display the tomboy icon in the system tray for easy access. 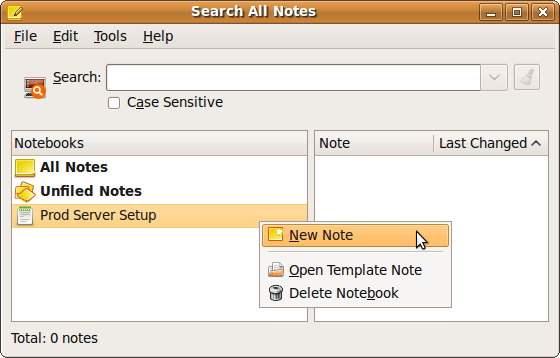 To create a new note (or) a new task to an existing project, Select the notebook name from the ‘Search All Notes’ window -> Right mouse-click -> New Note, as shown below. 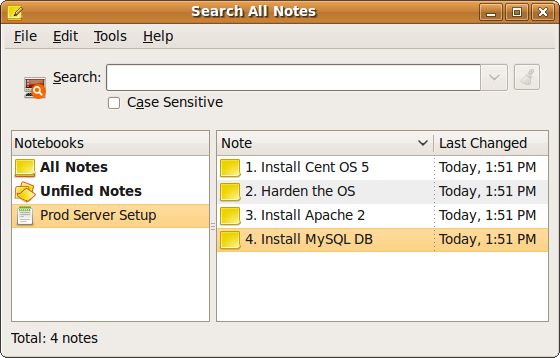 In this example, I’ve created 4 tasks / notes to the ‘Prod Server Setup’ project / notebook as shown below. From the “Search All Notes”, click on Edit -> Preferences, which will display the following Tomboy preferences window, which has the ability to set custom preferences on the following categories. Thank to this article, now, i use Tomboy! I’m glad you started using Tomboy. Thanks for your comment.